Comments Now this is one gem, that is truly special and mysterious. 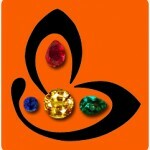 The aura that surrounds it has a terrific draw and many people have experienced really powerful results with this gem. Featured today is a fantastic natural Iolite from Madagascar. 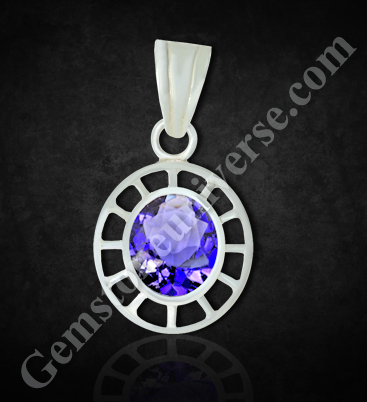 The gem weighs 2.45 carats and has been set in Sterling silver as a pendant. The iolite is a deep violet blue in colour and is as intriguing as an iolite should be. Iolite is a pleochroic gem, that is it displays other colors also when viewed from different angles, especially brown and yellow. It was used extensively by the mariners in ancient times to navigate. Iolite is also known as neeli in Hindi and is the gem of the consort of Lord Saturn or Shani and therefore is known as Shanipriya also. Iolite is the substitute gem for natural Blue sapphire. It is used to harness the energies of Saturn and is best when used as a talisman duly consecrated and energised.